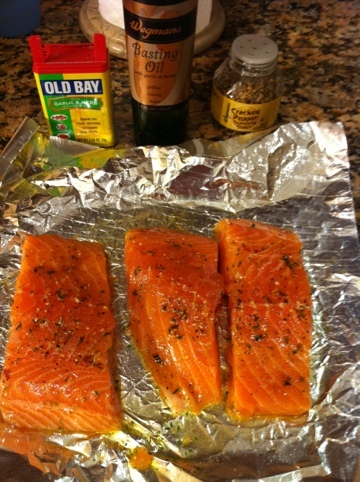 Take 1lb of fresh salmon and lightly seasoned it Wegmans basting oil, lemon & garlic seasonings & cracked pepper. 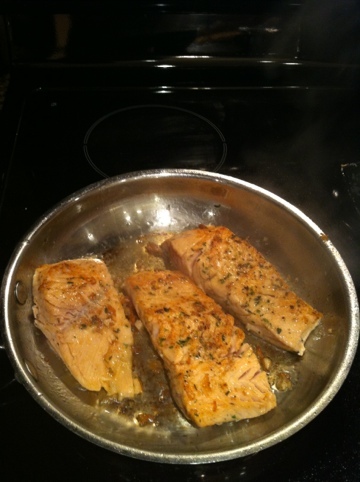 Then put 1TBS of Olive Oil in a skillet & once it was hot put the salmon in the skillet. Cooked the filets for 1.5 minutes on either side. 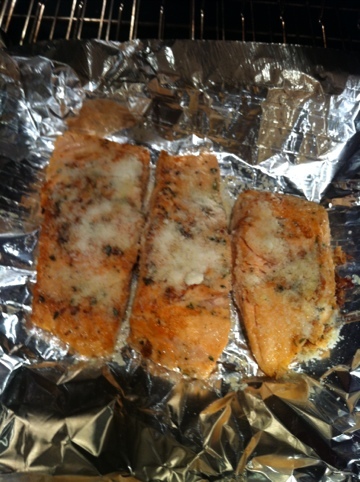 Take the salmon out of the pan & placed on a aluminum foil (feel free to use your favorite casserole dish or oven pan, I was in a hurry. Lol) sheet. 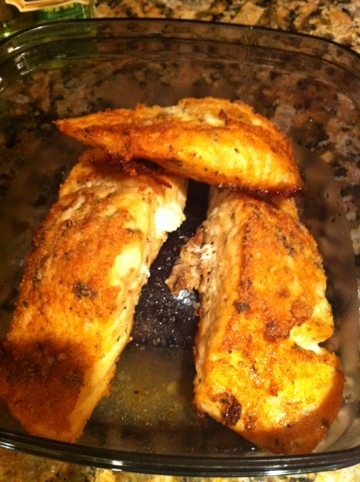 Topped each filet with Parmesan cheese. I used enough to just cover each filet. The filets were put into the 425 degree oven and cooked them until they were firm and flaked easily, between 10-12 minutes. 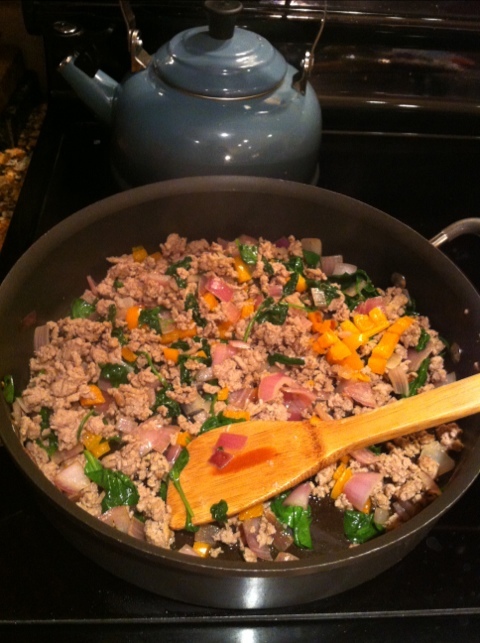 While the fish is cooking take 1/3 cup of chicken broth and added 1/2 tablespoon of shallot & garlic flavored butter. 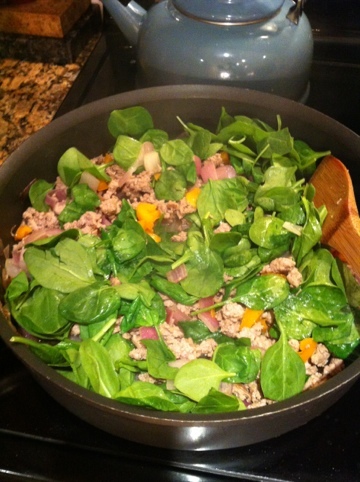 I also added a pinch of lemon pepper & Montreal steak seasonings. 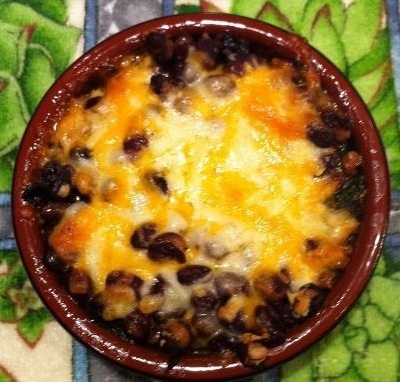 This was stirred & then microwaved for 30 seconds or until piping hot. 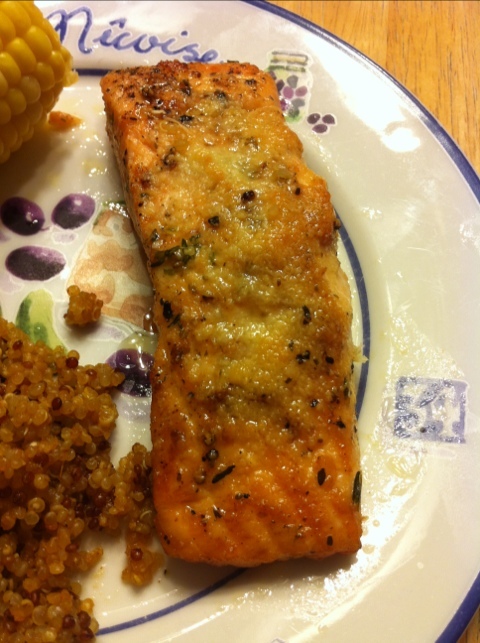 Once the salmon is done, pour the sauce on top and viola, this entree is done. 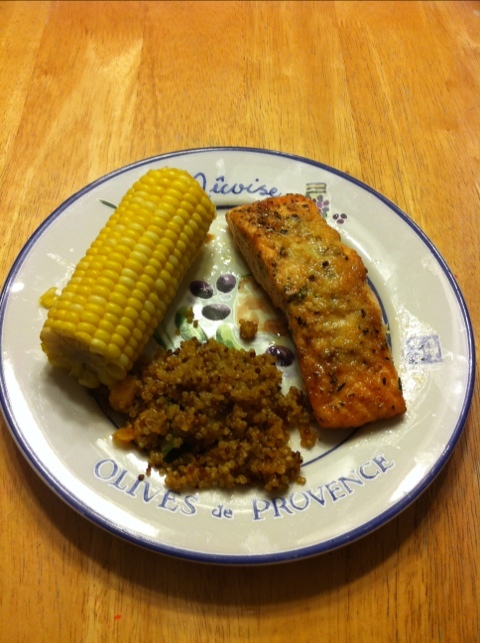 The salmon was served with quinoa and corn on the cob.